Patient covered with aluminum blanket during rescue. The Aluminized Rescue Blanket™, Model M-1 is the "original" heavy duty, reusable, aluminum infused, Flame Resistant (FR) Cotton fabric blanket. The M-1 Rescue Blanket is Made in America, constructed of the finest heavy duty aluminum infused, 14 ounce, FR Cotton, fabric available. This blankets 5 layer construction is designed to provide maximum penetration resistance, reflectivity with 95% heat reflectance, durability and years of reliable service. 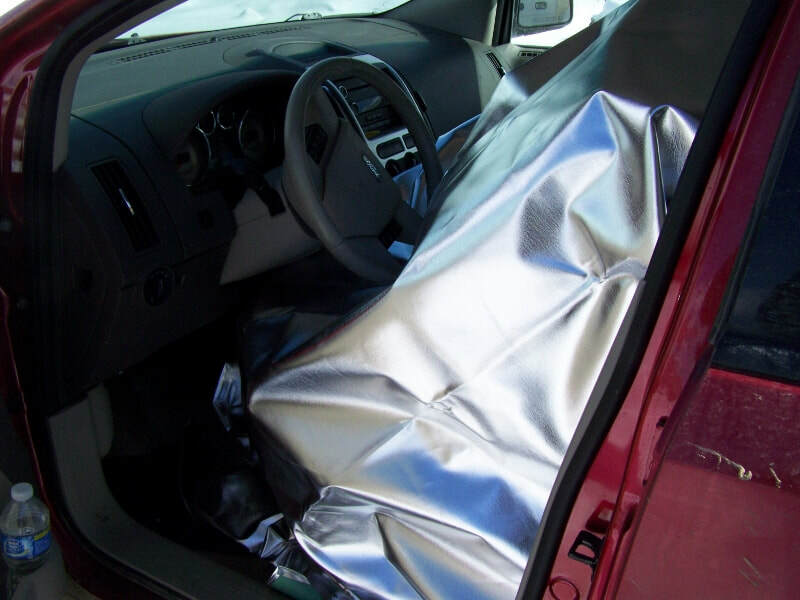 The blanket’s large 72” x 80” (182 cm x 203 cm) nominal size and heavy duty cut and fire resistant material affords maximum protection for the patient flying glass and debris and flash fire protection during auto extrication and rescue situations. The five layer aluminum infused fire resistant fabric can’t be beaten for its radiant and convective heat reflection in a flash fire situation. Glass shards, chips, saw sparks, water and debris are repelled by the heavy duty aluminum infused fire resistant cotton fabric, providing a high degree of protection for the victim during the rescue operation. The Aluminized Blanket, Model M-1 comes with a heavy duty protective storage bag, constructed of water resistant rubberized nylon fabric. The storage bag is designed to keep the blanket clean, dry. while protecting shiny aluminum infused surface from damage during storage. 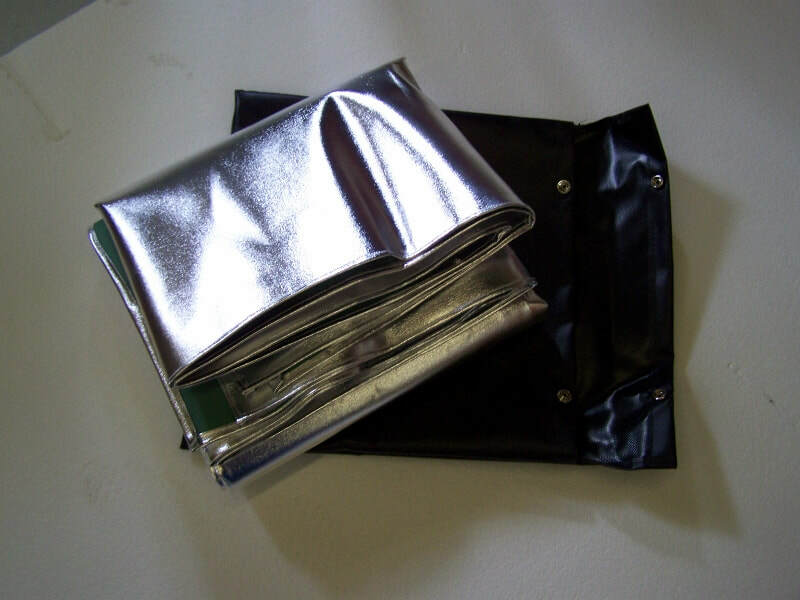 The ﻿M-1 Aluminized Blanket﻿ is designed to provide years of dependable service. Grease, oil, fuels and bodily fluids are easily removed and cleaned with soap and water. Common disinfectants may be used to eliminate biologic contaminants. The aluminum infused blanket surfaces are easily cleaned and disinfected with soap and water, then air dried prior to storage in the protective case. Custom size blankets are available to meet specialized needs. We manufacture these blankets in our facility, so there are no delays, minimum orders or "set up charges" for custom size orders. Call us with your size requirements and we will provide pricing based on the quantity of material needed to make your custom sized blanket. 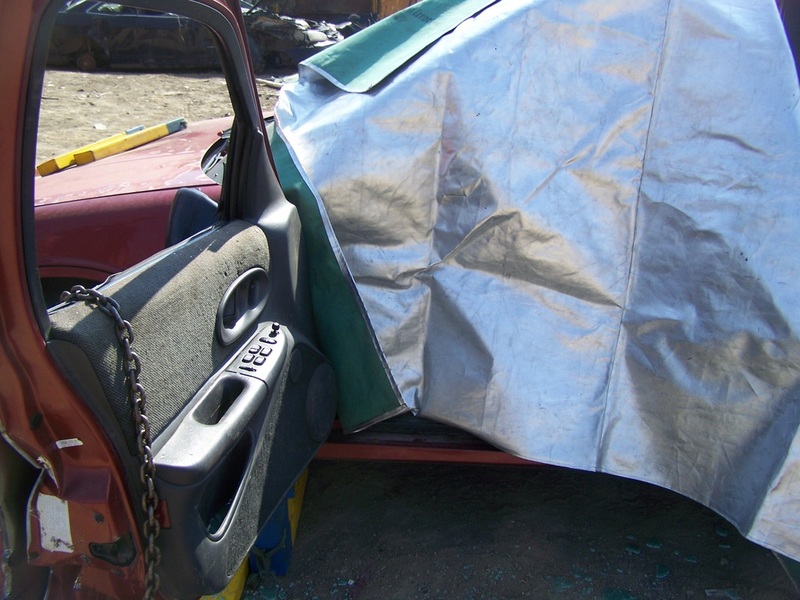 ﻿﻿Aluminized Rescue Blanke﻿﻿t ™ is a Trademark of Special Service and Supply Inc. All rights reserved. Shipping weight is 9 lbs. Ships via FedEx Ground ®. Patient protected from flying glass by rescue blanket during window removal. 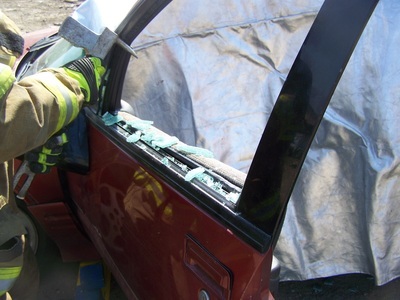 Patient protected from flash fire and debris by aluminized rescue blanket during door opening. 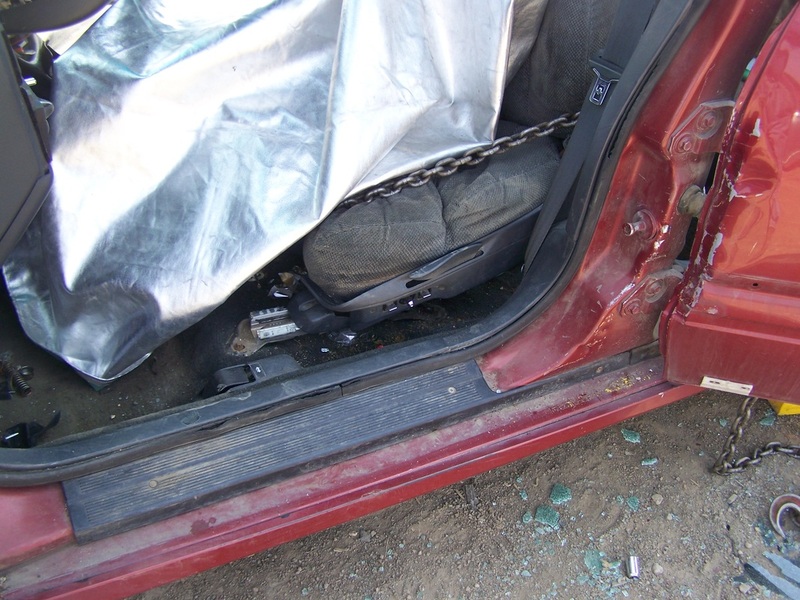 Patient protected by aluminized rescue blanket during seat pulling.